Wealthy people have always included luxury homes among their assets and a new survey shows that their desire remains strong. A survey of high net worth individuals by Luxury Portfolio reveals that 35% view real estate as the most obvious indicator of wealth and 38% are looking to buy in the next three years. But North America’s wealthy buyers have a different priority to those in Europe, Asia, and the Middle East. While around 4 in 10 respondents in each of those regions said a strong emotional connection to a home was their top reason they purchased their current residence – 37% globally – just 20% of North Americans agreed. For those in this region, the lot, location and size of the home was a bigger concern. While globally 59% of luxury buyers prefer urban locations, in North America suburban locations were slightly more popular (46%). 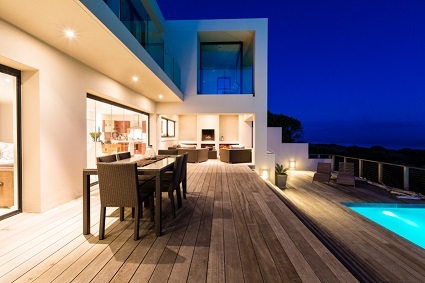 "Despite this emotional connection, 85% of wealthy buyers consider the purchase of real estate a rational choice," said Stephanie Anton, president of Luxury Portfolio International. "Real estate signifies success for these buyers, both internally and externally to their peers." The survey found that less than a quarter of respondents plan to sell in the next three years, suggesting a seller’s market will continue in the luxury sector. "We are pleased to see that as we watch wealth grow among the top 10% of consumers globally, so too do we see continued interest in, and appetite for, luxury real estate both as a financial as well as an emotional investment," stated Anton.